Say what you want about social media and its terrible effect on culture, but today it proved its worth. Scrolling through Twitter this morning, I was informed through a tweet that it was Cal Tjader’s birthday. Born 93 years ago on this date, July 16, 1925 in St. Louis, Missouri, Tjader’s family relocated to the Bay Area of California when he was only two, where Tjader remained. A dancer and later jazz drummer and percussionist, it was when Tjader began playing the vibraharp with Dave Brubeck’s Trio in the late 1940’s that he began to make some noise. He went on to work on his own and lead groups that played both jazz and Afro-Cuban music, popularizing Latin Jazz and becoming the most famous non-Latino Latin musician. He was only 56 when he died from a heart attack while on tour in the Philippines in 1982. His vibes playing was in the cool-toned and relaxed nature of Milt Jackson, with his own unique flair. 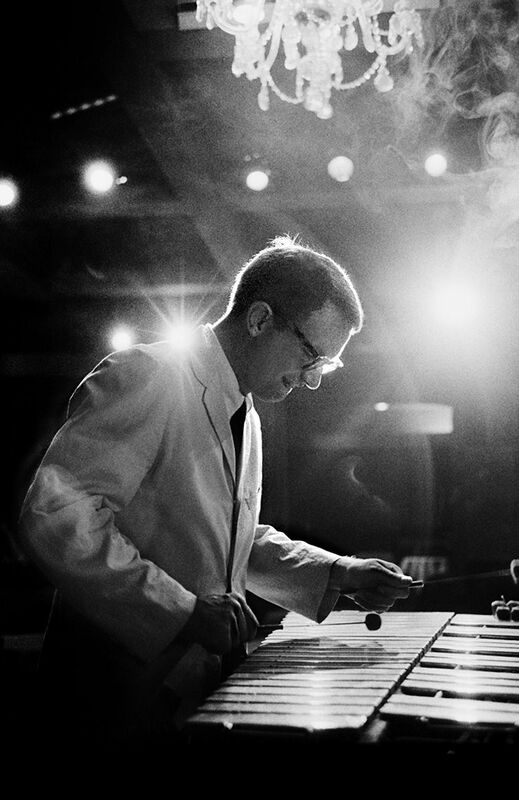 Bespectacled and quiet-natured, Tjader was revolutionary in his ability to take jazz tunes and successfully bring them into the Afro-Cuban idiom. Inversely, he was able to meld Afro-Cuban music and jazz together, such that his combos could fluidly switch between being a swinging jazz combo and a hot Latin music group. 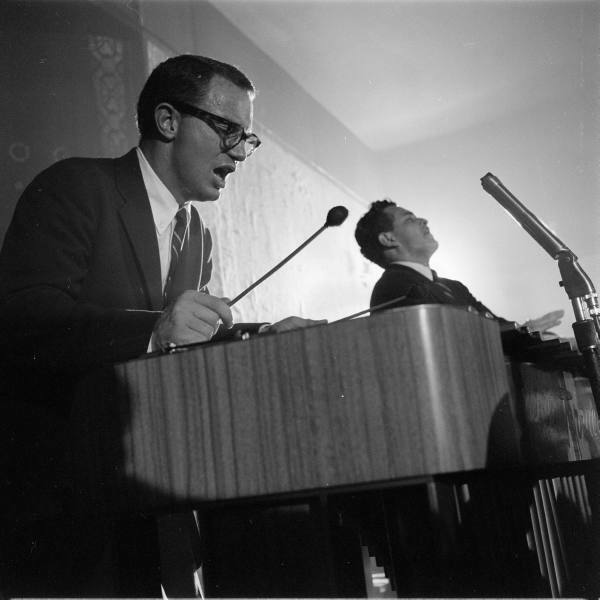 To cap off this tribute, here’s two tunes recorded by Cal Tjader in 1956 that perfectly illustrate Tjader’s musical prowess in both jazz and Latin music. The first track, recorded in the studio in the spring of 1956, features Cal Tjader’s group doing an Afro-Cuban arrangement of George Shearing’s original tune “Lullaby of Birdland”. I may be biased, but this is easily the smoothest rendition of this jazz warhorse. The intro alone is just too cool. The members in the group: Cal Tjader, vibes; Manuel Duran, piano; Carlos Duran, bass; Luis Miranda, congas; Bayardo Velarde, timbales. The second track, recorded live at a San Francisco club in the fall of 1956, features one of Cal Tjader’s strongest jazz combos. As evidenced in the chatter among the fellas in the band and the audience, it was also Tjader’s newest jazz combos. The guys sound unaware that the tape recorder is rolling, capturing the guys messing around and deciding what to play next. Tjader calls a blues, snaps the tempo, and the group is off. The quartet proceeds to wail away on an original blues tune written by Tjader called “Bill B”. This track showcases Tjader’s jazz chops in the best setting of all- the live environment of a club, playing as much for his own pleasure as for the audience’s. The personnel this time includes the great Vince Guaraldi on piano, Eugene Wright on bass, Al Torre on drums, and of course, Cal Tjader on vibes. Happy 93rd, Cal!